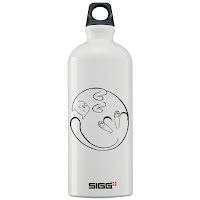 CafePress allows me to offer my designs on items I can't currently make by hand, such as t-shirts, magnets, clocks, water bottles, and more. 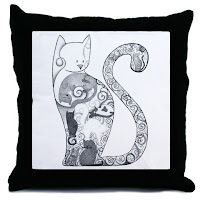 If you only want things I've actually touched with all my delightful artsy cat-loving cooties, then you should shop at my etsy shop (there's not as much variety in the kinds of items you can get there, though). 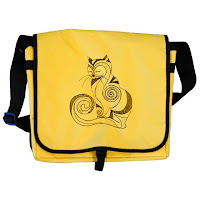 Each of my shops on CafePress is organized by design--this page is meant to make it easy to navigate between all those different shops, since I can't do that within CafePress itself. 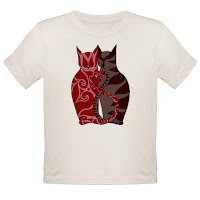 Thus, each picture links to a corresponding CafePress shop, where you'll find all kinds of stuff with that design, including clothing, pet bowls, clocks, buttons, tiles, cards, and a bunch of other random fun stuff. I suggest keeping this page open and opening the shops in a separate tab so you can return here easily to check out the other shops. I'm still in the process of building these shops, so this page will be changing regularly until I have them all up. 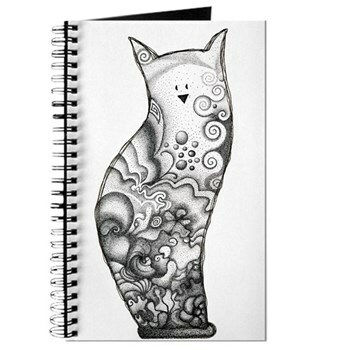 Just contact me if you want to see a design I don't yet have up on a cafepress item and I'll put it up just for you!